Depression in children: Are you missing the signs? Dubai: This is a message to all parents: If you are in any way, for any reason, ignoring signs of mental distress in your child, be prepared for its consequences. There’s a heavy cost to this ignorance and it could scar you for life. A grandfather in Sharjah found this out the hard way when his 14-year-old grandson killed himself in an apparent suicide early Wednesday morning. The Grade 9 Ukrainian student, who arrived in the country just days ago, chatted with his granddad in his 15th floor apartment in Sharjah’s Sara Tower in Al Majaz 3 until 10.30pm on Tuesday before leaping out of a window hours later. His inconsolable granddad told Gulf News that he was aware that the child was depressed but had no inkling he would take such an extreme step. He said video games and the internet were responsible for making the child feel isolated and depressed. Sharjah Police have referred the case to the public prosecution for further investigation. According to the World Health Organisation (WHO), depression is the third leading cause of illness and disability among adolescents aged between 10 and 19 while suicide ranks third as the cause of death in teens worldwide. Data for teen suicide in the UAE is not readily available but recent instances show it’s a rising trend in the country which according to WHO has the highest regional level of depression, at 5.1 per cent of the population. For instance, in Dubai alone, of the 90 suicides and 101 suicide bids recorded in 2017, the Family and Juvenile Prosecution investigated 11 cases of attempted suicide by teens — an alarming increase over previous years. Last December, Sharjah Police found itself racing against time in the dead of night to stop an Asian girl from ending her life after she posted a message on social media saying she would kill herself and stream the suicide live from her family residence in Al Nahda. Trolled and cyber-bullied on social media over her pictures, the girl was suffering from acute depression. In yet another case, a 16-year-old Arab girl hanged herself from the ceiling of her bathroom in Ajman in June 2018. Police found a copy of American clinical psychologist Kay Redfield Jamison’s best-selling classic, An Unquiet Mind, near her body. She was on medication for depression. These are just two of the cases of teenage suicide in the UAE, an issue that points to the need for parents to be fully alert to the problems besetting their wards. In the all-pervasive era of social media influences, the debate about its impact on young minds is a growing chorus around the world. But social media is not the only issue. Children can also be impacted by peer pressure, academic stress and family issues, among other things. Dr Padmaraju Varrey, Head of Department, Specialist Psychiatry, NMC Specialty Hospital, Abu Dhabi, says that there is much that we are still learning about how to respond to each child’s unique needs, but at all times parents must be in an active mode of engagement and communication with their child’s growth and thinking and be able to spot signs of trouble at the first instance (see below). Dubai-based Indian expat Sheetal Mulani whose son Mohit took his own life in August 2016, said any change in a child’s behaviour, however small, should not be taken lightly. Mohit had been seeing a psychiatrist and was on medication for ADHD and anxiety. To come to grips with the tragedy, Sheetal has written a book, Saturday When the Sun Came Down, which cautions parents against what she calls ‘mind-altering’ medications prescribed to youngsters to combat anxiety and stress. “[The book] is a message for parents who do not know what is ticking in their children’s minds and can never even begin to fathom where the phantoms lie,” she told Gulf News in an interview in 2018. 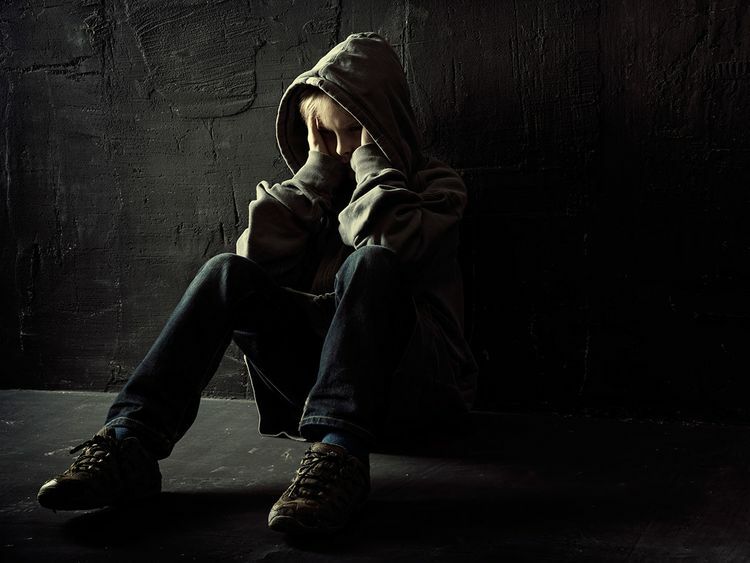 Children may experience depression if they feel unhappy with their environment and powerless to make any change to it, says Dr Padmaraju Varrey, Head of Department, Specialist Psychiatry, NMC Specialty Hospital, Abu Dhabi. “Much has been written about the need for ‘care for the caregiver’ in the past decade, both for professionals and for family members who are in a caregiver role,” said Dr Varrey but it is important they learn to spot signs of distress in children in time to avert any possible negative consequences. There are biological, psychological and social factors that can contribute to depression separately or in combination, he said. What are the signs and symptoms to watch out for? ■ Persistent feelings of sadness. ■ Feeling hopelessness or helplessness. ■ Loss of interest in usual activities or activities once enjoyed. ■ Sleeping too much or too little. ■ Changes in appetite or weight. ■ Suicidal thoughts or attempts. ■ Frequent physical complaints such as headaches, stomach aches or fatigue. ■ Running away or threats of running away from home. ■ Hypersensitivity to failure or rejection. ■ While the exact cause of depression and other mood disorders is not known, they’ve been linked to genetics and environmental factors.